When asked why he was mulching with egg shells, my fathers’ favourite saying was this: “everything goes back to nature”. This might be a little too simplistic a view of organic farming, but true in this context. What you put back into the ground, you get back out and he wanted to place as much goodness back into the soil as possible. We used mulch with ground egg shells, ash from the fire, grass, leaves and food waste. The point of the legendary compost heap at the bottom of the garden wasn’t just to provide entertainment for us as children and the odd assortment of vegetables that grew from the occasional seeds which found their way onto the heap – it was to provide an incredible natural source of nutrients, earthworms and structure to the soil of our garden. The menagerie of geese, ducks and chickens we kept would be on egg duty, snail patrol and for the occasional sport of chasing the cat and small child (me) around the garden. Weeds were simply pulled out using child labour (me again) instead of using weed killer. Snails (if they weren’t eaten by the ducks, chickens or geese) met their untimely demise in a tin of brine – the same with other insects. Spiders that managed to find their way into our home were gently invited out by my father, inside a glass bottle. The point of my whimsical meanderings was that we tried to make sure that we would rarely use chemicals in our garden to provide what we termed ‘easy gardening’. 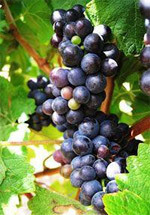 Now ‘easy gardening’ and wine-making have a great deal in common, except on a grander scale because there is a commercial and financial gain to be made. It isn’t growing a crop of tomatoes to sell at the village market it is large scale business involving greater production levels, processing, supply chain and financial risk. Chemicals have to be used to keep pests at bay, soil has to be treated to provide as much nutritional value as possible for the vines, the yield per hectare has to be able make financial sense where your commodity is sold per ton and spoilage greatly reduces that gain. The cosmetic factor of having animals, birds, bees and butterflies, is by the way side on a large-scale commercial farm and certainly not as important as the financial gain of the product. Or is it? The answer is simple if you look at what my father used to say: “what you place into the ground, you get back out”. Now much the same with can be said regarding the use of harmful chemicals: if you put these into the soil, ultimately your soil becomes tainted with undesirable contents, the soil could become barren – in constant need of additional nutrients and attention – and eventually the soil stops providing the rich nutritious food it once did. The birds, butterflies and insects all push off for pastures better, not just greener. According to WOSA, a total of 101 016 hectares of vines are planted in the Cape wine lands and other regions, farmed by more than 3600 farmers. Give or take a couple of numbers as the year progresses. 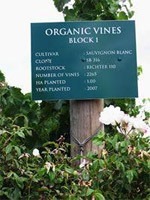 However out the 101 016 000 hectares, only 0.8% (approx 125 hectares) was ‘Certified Organic’ as of 2010 according to Monty Waldin’s Biodynamic Wine Guide 2011. Surely I ask, with the increasing consumer demand for traceability, ethical and holistic practices in food production and in turn healthier eating and drinking, why only so few fully registered? The answer rests in the effort and desire for farms to become organic. Josef Lazarus of Lazanou Organic Vineyards’ superb quote in the Spring edition of Winestyle 2011, “I find it quite amusing that organic producers have to be certified to farm in the most natural way possible”, sums up the frustration some farmers feel at the process of becoming organic. The time, effort and cost sometimes are simply far too great for some producers. There are also a great many producers who are adhering to organic practices but the volume of paperwork is outstandingly large. The other side of the coin is that many farms claim to be organic, riding on the wave of ‘organic production’ but hide behind the excuse of ‘too busy to do the paperwork to get certified’. In reality, these farms use chemicals that are banned from certified organic viticulture. On a recent visit to the Elgin Valley, I had the enormous pleasure of visiting Elgin Ridge – the only Certified Organic vineyard in the Elgin Valley. Four hectares of Sauvignon blanc, Semillon, Chardonnay and Pinot noir are grown on the sloping property overlooking the valley. Acclaimed viticulturist Kevin Watt was on board from the start of planting to provide advice and valuable knowledge to owners Marion and Brian Smith. Elgin Ridge has international accreditation like the majority of South African organic grape and wine producers. 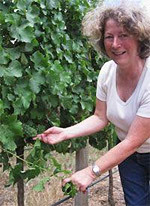 Under EU regulations, the vines have had to produce grapes grown in organic conditions for at least three years. Products that are only certified as organic can be used on the vines and soil, for example guano from Namibia and Seagrow. 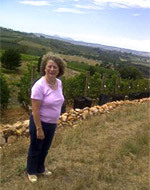 Owner Marion Smith explained why she wanted to farm organically: “Having sold our successful IT business in London we decided it was time to pursue a dream we had always nurtured: to make outstanding wines in small quantities that reflected our passion. We searched most of the wine growing regions in Europe, but eventually concluded the Elgin Valley in South Africa was the ideal place to realise this dream. The small farm we purchased was run down but showed great potential, and we planted our first vines in 2007. The objective from the beginning was to be organic, and as the farm had been fallow for many years, suited this objective perfectly. At Elgin Ridge, our focus is on farming the land organically, in a way that is sustainable and ensures the wines truly represent the land itself. With quality grapes, there is less to do in the cellar, and our winemaking philosophy of ‘minimal intervention’ – carried out by winemaker, Niels Verburg – allows a natural approach throughout, from vine to bottle. 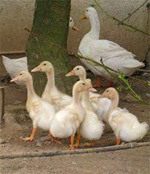 Dorper sheep, Peking ducks and chickens are used to keep the vineyard in check. Snails get eaten by the ducks and chickens, the sheep mow the grass in the vineyards and apple orchard. 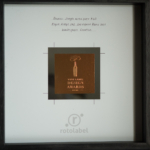 The two wines available are the 282 Sauvignon Blanc 2011 and 282 Chardonnay 2010 which both reflect the wine making style of Niels Verburg: “minimal intervention” and the quality of the vineyard: “a good vineyard will produce good wine”. The Sauvignon Blanc 2011 was classic crisp Golden Delicious apple tartness, pear and grapefruit with undertones of green herby characters. Big juicy fruit flavours with green melon on the palate. The Chardonnay 2010 (unwooded) is light and quaffable with notes of nectarines, white peaches and pears, fruit blossom and a little spice on the nose and palate. This is the maiden vintage of Chardonnay produced on the farm, so I am looking forward to seeing how it will develop on 2011 and 2012. Sold and served only through restaurants and from the Elgin Ridge Tasting Room, these wines are gracing the wine lists and top sommelier recommendations in South Africa and the UK. From the Taj Hotel, Test Kitchen, Sotana in Cape Town to Marcus Wareing at The Berkely, The Glasshouse Restaurant, and Searcys in London. I really enjoyed both wines and also the story behind Marion and Brians’ desire to farm originally. I left the farm with a smile on my face, arms laden Marions’ apple and cranberry chutney and with freshly laid duck and chicken eggs tucked in their boxes for the journey back to Cape Town. I also felt good knowing I was supporting a producer that was doing good by the earth and adhering to the formula: good soil = good vines = good wines. This article first appeared on Pauline’s blog and has been republished here with her permission. I’m inclined to give many organic grown wines a sympathy vote, which is to say overlook mediocre quality on account of the worthy intentions of the producer. 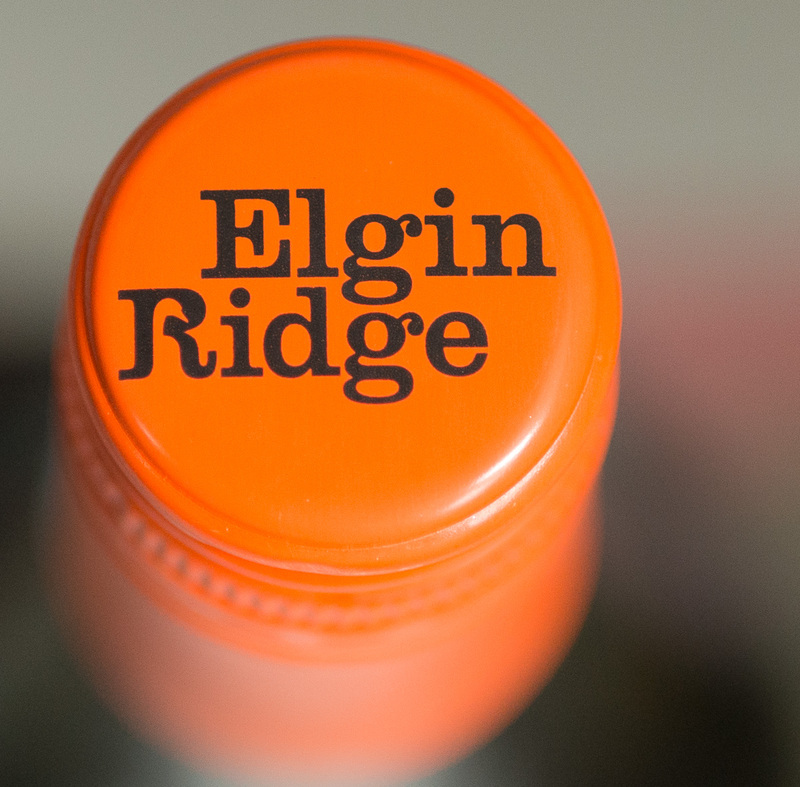 No need for that in the case of Elgin Ridge (certified as of the 2012 vintage). Brian and Marion Smith sold their IT business based in southwest London at the end of 2006 and bought a small property in Elgin in April 2007. 4ha of vineyard were established between 2007 and 2009, plantings including mainly Sauvignon Blanc but also Chardonnay, Pinot Noir and Semillon. As for why they opted to farm organically, there’s no particularly elaborate philosophy behind this other than to do good by their soil. What was intended to be a “relaxing retirement project” turned out to be “bloody hard work”, says Brian. You get the impression, however, that they’re enjoying every minute of it and they concede that setting up their operation was far easier than it might have been elsewhere. The respected Kevin Watt advises on viticulture while Niels Verburg of Luddite is their winemaking consultant. “You’d never be able to get that level of cooperation in France,” says Marion. To taste, the three vintages of Sauvignon Blanc made to date. Though the vines were only 20 months old in 2009, intensive treatment with Seagro organic fertiliser and chicken manure pellets facilitated a small crop and production has grown steadily from there. 2009: Overt but not totally displeasing mercaptan character as well as granadilla on the nose and palate. Good palate weight, tangy acidity. Something of a guilty pleasure. Score: 15.5/20. 2010: Shy nose. Good range of flavour on the palate: lime, granadilla, yellow apple, touch of pepper. Good palate weight, gentle acidity.Score: 16/20. 2011: Very primary on the nose. Green and yellow apple as well as subtle pepper on the palate. Moderate acidity. The most technically correct to date. Score: 16.5/20. Perhaps not classic South African Sauvignon Blanc, these wines nevertheless have real interest value. Whereas Elgin Sauvignon Blanc can be particularly green and lean, Smith opts to pick later than many of his counterparts – he realises he’ll always be fighting high alcohols (14.2% in the case of the 2011) but prefers the greater substance which results. The 2011 is set to sell for R90 a bottle from the farm but Smith advises that he exports up to 70% of production. “UK retail price is around £11.99 a bottle but most is sold in restaurants and hotels – I’ve seen it selling for £38 a bottle at the Royal Opera House”.